We met with the team from Martinrea today to put the finishing touches on their upcoming ribbon-cutting ceremony. This meeting included a tour of their facility located at 2100 N. Opdyke Road, which opened back in December. As I’ve mentioned in past blogs, our companies do so many cool things. I have to say, today’s visit made my top five cool things about Auburn Hills’ companies. 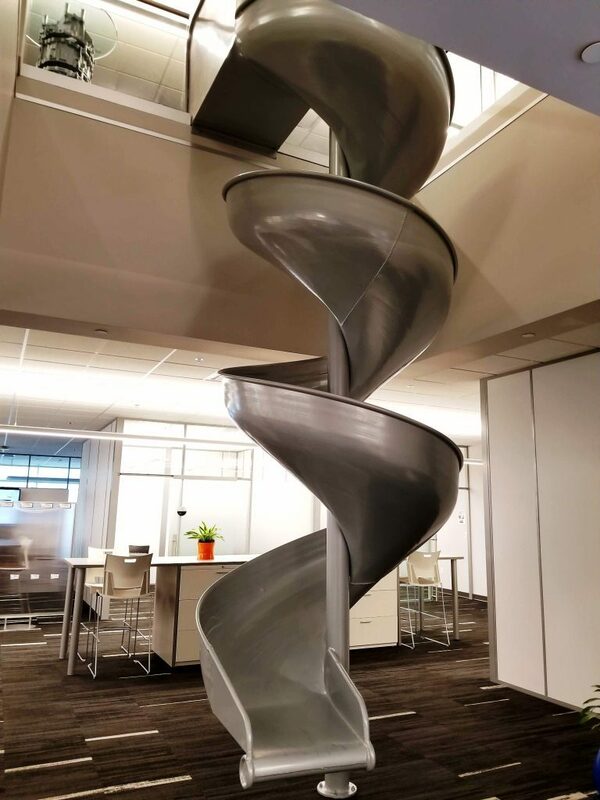 Martinrea has a slide from the second floor to the first floor of the building for their employees to use. Yes … an actual slide, like on a playground! I’m told many employees use the slide as it ends right near their lunch room. Of course, we got to try it out. We’re thrilled to have Martinrea’s new 108,000 square foot technical center in the City of Auburn Hills, and we look forward to their ribbon cutting ceremony in May.